Rabat - As January 2018 marks the 75th anniversary of the Anfa Conference in Casablanca, scholars from the United States, Morocco, and Britain were joined by the granddaughter of former US President Franklin Roosevelt for a discussion and reflection on the historic event that marked a turning point in WWII and on Morocco’s subsequent independence. Moderated by the British ambassador to Morocco, Thomas Reilly, the forum was held in Rabat’s National Library. Rabat – As January 2018 marks the 75th anniversary of the Anfa Conference in Casablanca, scholars from the United States, Morocco, and Britain were joined by the granddaughter of former US President Franklin Roosevelt for a discussion and reflection on the historic event that marked a turning point in WWII and on Morocco’s subsequent independence. Moderated by the British ambassador to Morocco, Thomas Reilly, the forum was held in Rabat’s National Library. 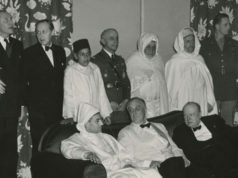 The event, hosted by the United Kingdom and United States embassies in Morocco, brought together dozens of history zealots interested in the pivotal events of January 1943. 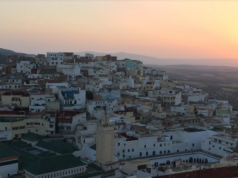 The panelists included Allen Packwood, director of archives of former British Prime Minister Churchill, historian Meredith Hindley, author of “Destination Casablanca: Exile, Espionage, and the Battle for North Africa in Thomas Reilly,” and Moroccan historian, Hassan Ourid. Further to its international impact on the course of WWII, the 1943 conference set the grounds for relations between the United States and Morocco for many years after. On January 22, Roosevelt, hosted a banquet for Sultan Muhammad V. The American president was reportedly eager to meet the sultan, Mohammad V. “This action implicitly recognized the Sultan’s sovereignty over Morocco. 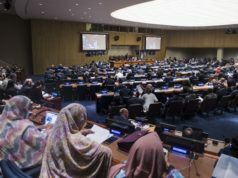 The head of the French protectorate had not been invited to the dinner, further stressing the US position in terms of Morocco’s independence,” said Ourid. The two leaders also talked of increasing US-Moroccan trade and economic cooperation, said Ourid. For his part, the Sultan told US General George Patton, commander of the I Armored Corps, that “your President is a very great man and a great friend of myself and of my people.” during a car ride that they shared. The context behind the determining event that shaped modern human history took place at the end of November 1942, when President Roosevelt proposed to Churchill a meeting between the Allied leaders to discuss their next move in fighting the war. “Churchill suggested that they meet in Iceland in January. Roosevelt, in turn, said he preferred a secure place south of Algiers or in or near Khartoum, as he doesn’t like mosquitoes,” recalled Hindley. 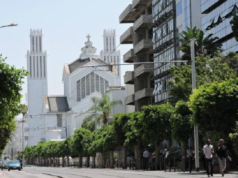 The ideal place for the conference proved to be Casablanca, as both the United States and Britain already had troops in North Africa thanks to the success of Operation Torch in late 1942. 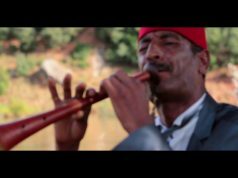 Location was important, and Morocco was one of the most important places in the world then, said Hindley. “Churchill had in fact been to Morocco, Marrakech in the winter on 1936. He wrote that ‘Marrakesh is simply the nicest place on Earth to spend an afternoon’,” said Packwood. From January 14 to 24, Roosevelt, Churchill, and Anglo-American officials met in Casablanca, along with Henri Giraud and Charles de Gaulle, leaders of opposing French resistance groups. Stalin, preoccupied by battles in Eastern Europe, declined to join, said Hindley. On the last day of the conference, the press was invited to cover the historic Allied declaration to win the war and their unwavering determination to defeat Nazi Germany. Upon their arrival, the journalists were in shock to see Roosevelt and Churchill together. “Despite what the world had thought, my Grandfather and Churchill were good friends. They had so many traits in common. They both enjoyed drinking and were fond of Morocco,” said Roosevelt’s granddaughter. “Upon the end of the conference, Churchill sent a letter to my Grandfather, telling him that “he is happy to exist in the same decade as him,” she said. 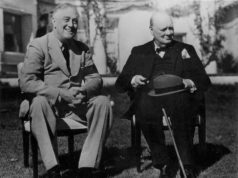 Nevertheless, the press received news that surprised them more than seeing Roosevelt and Churchill in the same place. During the press conference, Roosevelt intuitively said that the Allies would only accept the “unconditional surrender,” of Germany, Italy and Japan to end the war.